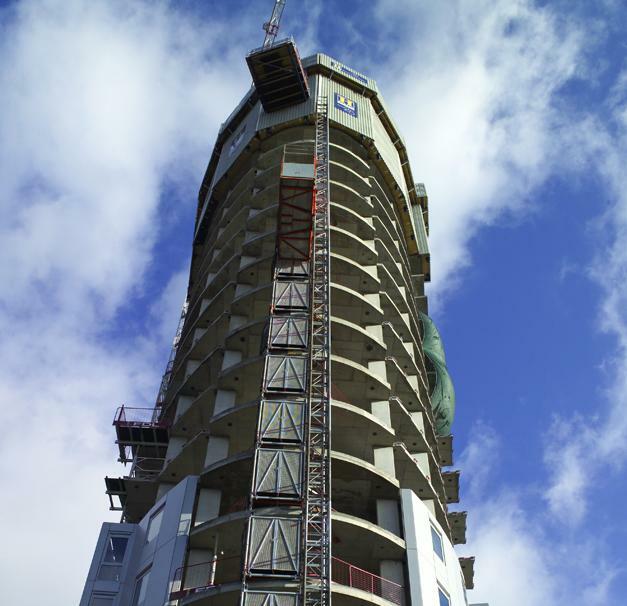 Many new apartments have been built in Croydon, among them the 25-storey residential development 'Altitude 25'. 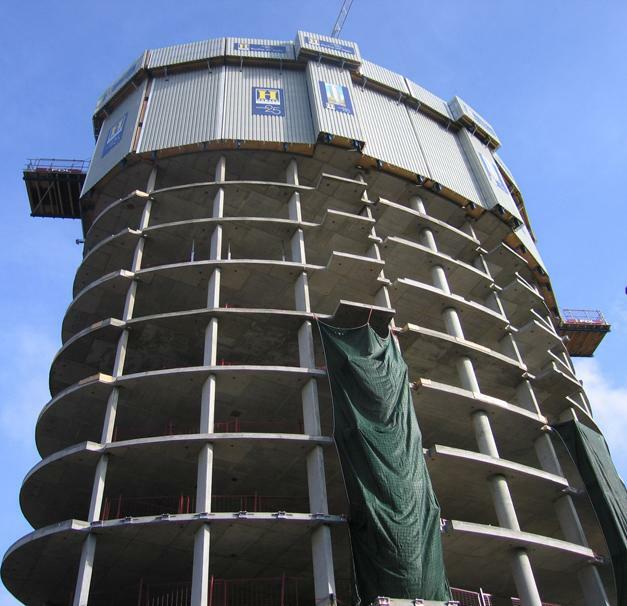 The tallest building and a defining urban landmark of this South London borough, the 82 m elliptical tower comprises 235 residential units. 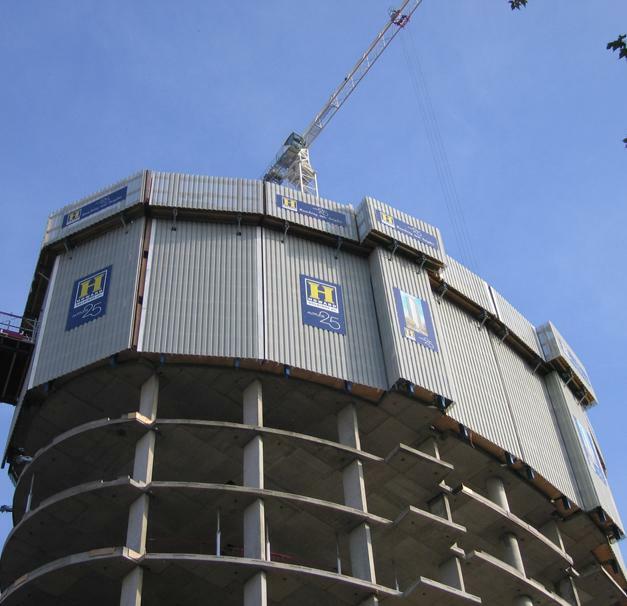 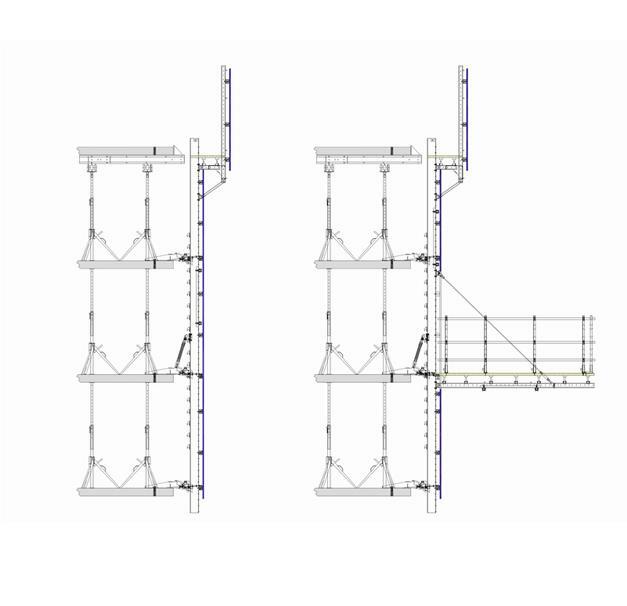 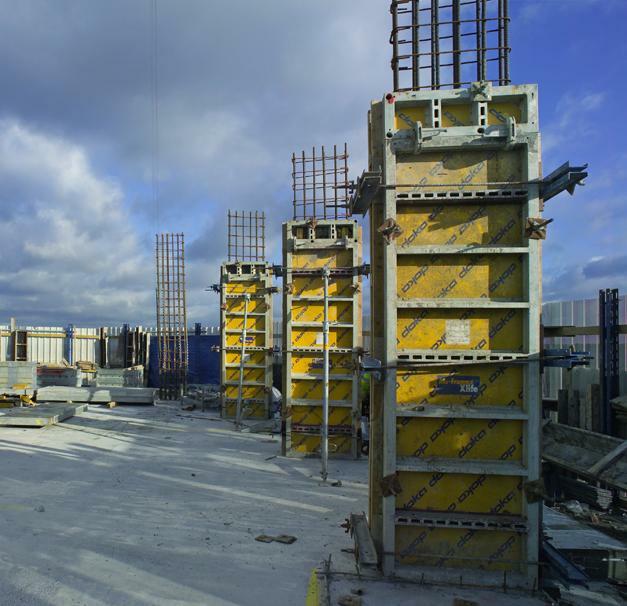 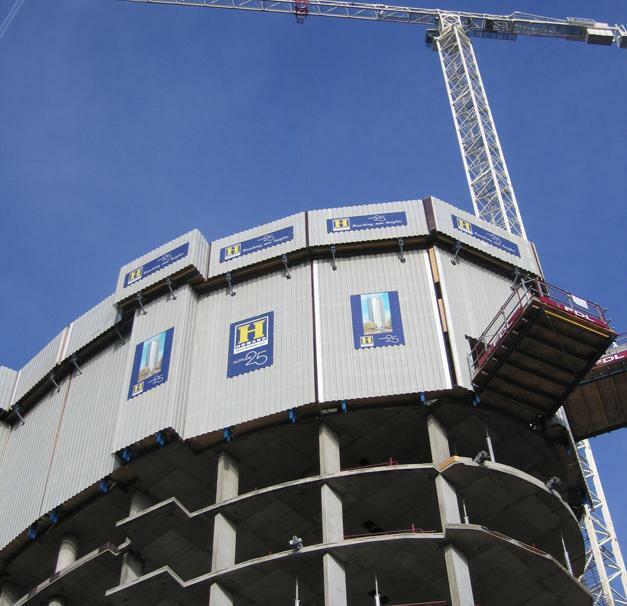 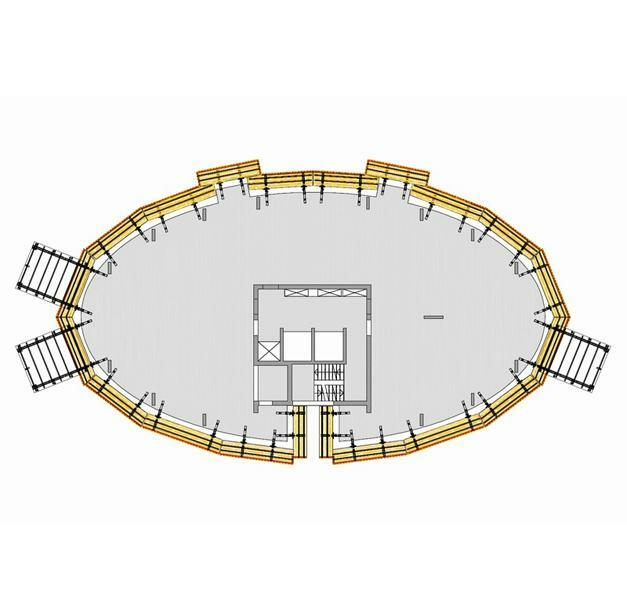 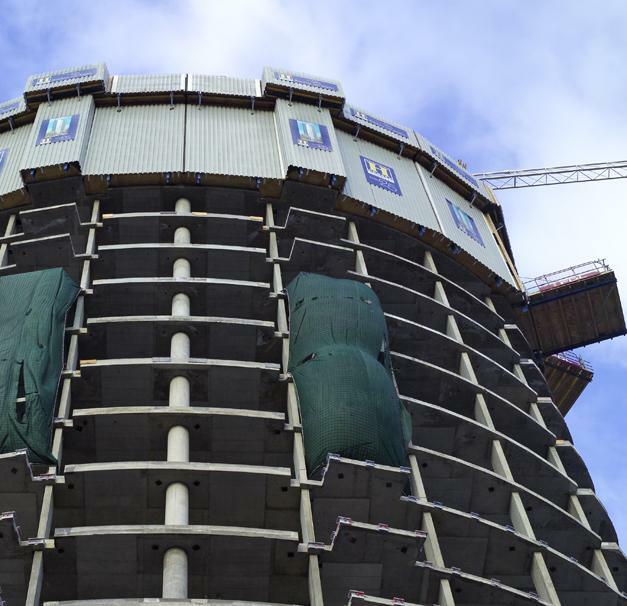 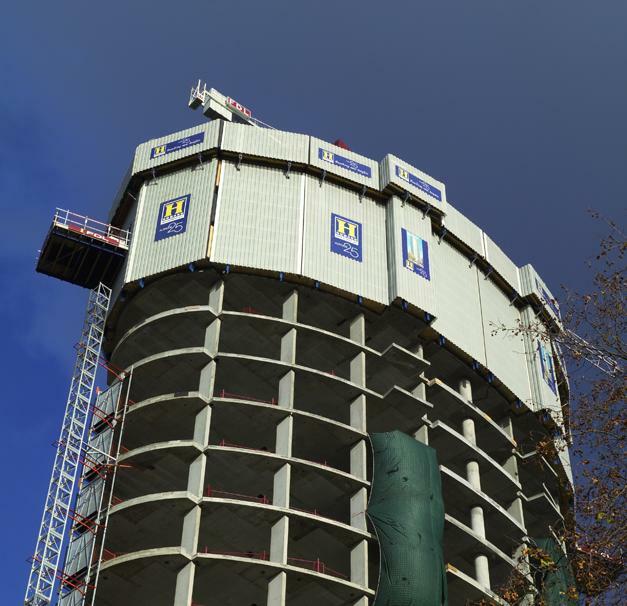 Howard Holdings PLC/FDL fielded the new Protection-screen system Xclimb 60 to safeguard the slab-forming operations.